Just to the right, below the Henry County Park District Logo are two new ways to receive updates on Henry County Park District news. Enter your E-Mail address in the "Follow us by E-Mail" bar. Any time an update is made to the web-site you will receive an E-Mail notification of the posting along with the link for you to connect to this web-site! If you prefer, you can click the "Find us on Facebook" icon to the right which will take you to the new Facebook Page for the Henry County Park District. 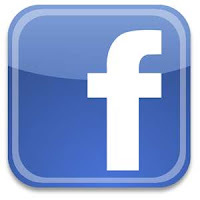 Log into your facebook page and click the "Like" button. By doing this, whenever the facebook page is updated, you will receive notification on your facebook wall. There will also be a link back to the web-site so you can view the complete posting at your convenience!